Lola Berry is an Australian Nutritionist, yoga teacher, business owner and author of an impressive 10 health, yoga and cook books, the first she published when she was 23. With a dream of being the next Cate Blanchett Lola started studying performing arts, then became a DJ party gal and a make-up artist before finding her passion and purpose in health and nutrition. Lola started her TV career making Youtube videos about different foods and their super powers. Lola is a self-proclaimed ... See More Aussie bogan and a beautiful fun loving soul that I can wait to catch up with again, she’s infectious to be around and makes you feel magical. 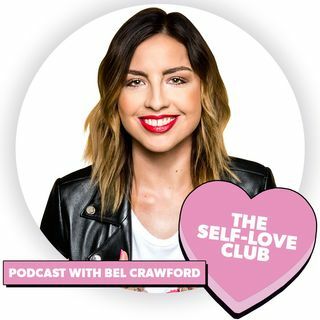 We are so lucky to have Lola share her story, realness, powerful advice and laughter on The Self-Love Club Podcast.